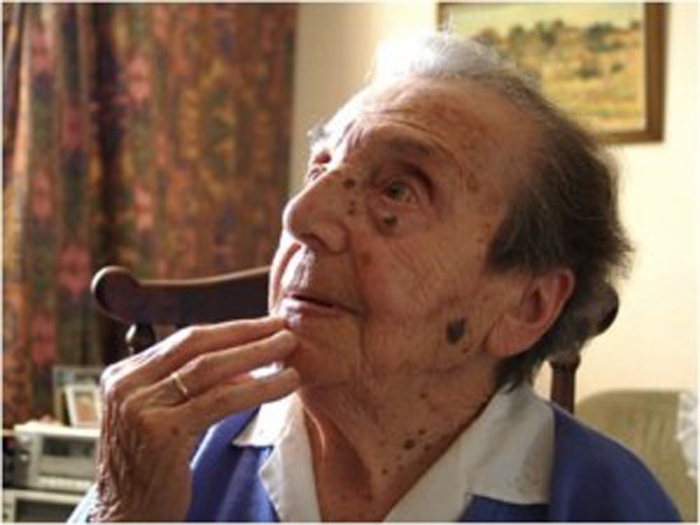 At 109 years old, Alice Herz-Sommer can make multiple claims: she is the world’s oldest pianist, as well as its oldest Holocaust survivor. Now she’s also a leading lady, the centerpiece of a film charting her remarkable life, The Lady in Number 6. Herz-Sommer lives alone in a tiny flat in central London to this day, sitting down daily at her piano, practicing her beloved Bach and Beethoven. But her life wasn’t always so pleasant. When thirty-nine, Herz-Sommer was sent, along with her six-year-old son Raphael, to Theresienstadt, the concentration camp near Prague used by the Nazis as a propaganda set depicting good treatment of the Jews of Europe during their campaign of terror. There she entertained prisoners and Nazis alike, playing Bach and Chopin along with other musicians forced into captivity. Despite her ordeal, and despite the fact that her husband Leopold perished in Dachau, Herz-Sommer has been able to maintain a buoyant personality in the years since. “She just on all things has this philosophy that is incredibly positive. She’s just naturally, instinctively somehow along her journey picked up this process where her brain is always in a positive loop,” said the film’s producer, Nick Reed. “It started off as an exploration of this amazing woman and what you realize along the way is that she’s even more amazing, ” Reed says. The year 2012 is unlikely to go down well in the annals of Jewish-German relations. In June, a German court ruled that religious circumcision of minors is a criminal act. Two months earlier, Germany’s largest-selling daily broadsheet had published a poem by Nobel prize-winning author – and former SS recruit – Günter Grass, accusing Israel of endangering world peace. A month before that, parishioners of Berlin’s Cathedral threatened to leave their church should it allow an Easter performance of Johann Sebastian Bach’s St. John Passion [BWV 245]. The libretto had been altered by three Jews to make it less “Judeophobic.” They had replaced passages depicting Jews calling for Jesus’s crucifixion with extracts from Jewish liturgy and Muslim poetry. In the event, the altered version went ahead. Of the three events, the Bach boycott was perhaps the most predictable. 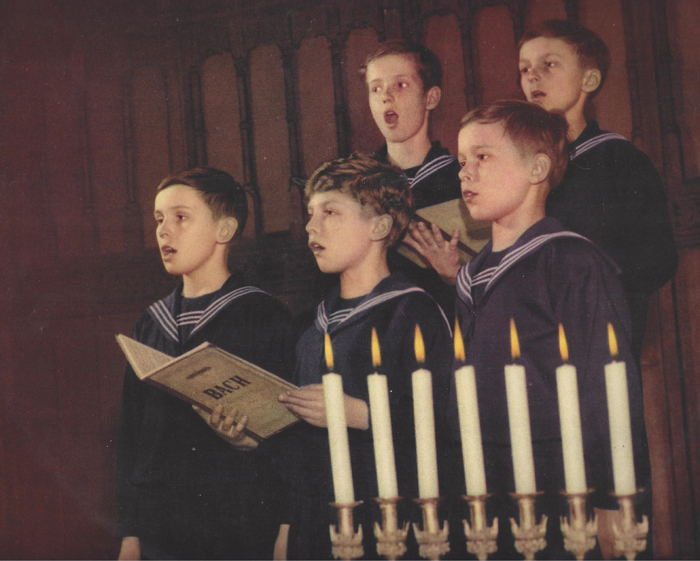 Germany, Jews, and music have often proved an unhappy combination. From Richard Wagner’s bitter diatribe against Jews in music to the forcing of musically proficient prisoners to form an orchestra at Auschwitz, the music of Germany has seldom given Jews much cause for celebration. Given how widely known Bach’s Lutheranism was, it is small wonder the Nazis adulated him. To mark the two hundred fiftieth anniversary of his birth in 1935, they helped stage a Reich Bach Festival in Leipzig, where Bach spent his last three decades as cantor of the choir school of the Thomas church and director of church music. It was there he composed his most celebrated choral works, including the St. John Passion. In such a context, some might applaud the three Jews who revised the St. John Passion. Others might wonder why any Jew would bother at all with Bach’s music. 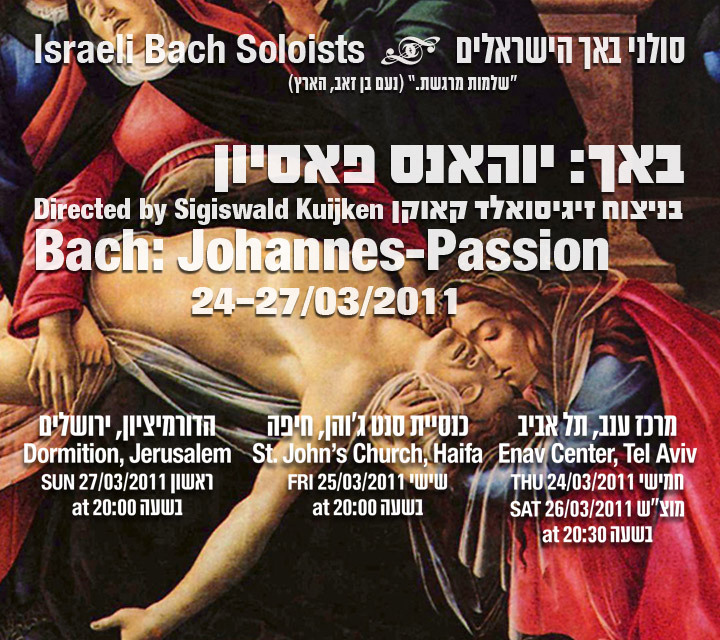 In fact, there is no reason why Jews should not embrace Bach and his St. John Passion. In some ways, they have more reason than most, Jews having played such a decisive role in preserving it for posterity as well as in elevating Bach to his current position among the world’s best known and most widely performed composers. The St. John Passion is regarded as antisemitic not just through depicting Jews as calling for the death of Jesus, but doing so in a particularly frenzied and discordant manner. However, one should not rush to judgment without some understanding of the nature and history of Christian liturgy. For a millennium before the Reformation, the liturgy for the Christian Holy Week (the seven days before Easter) included readings from all four gospels of the so-called “Passion” – the arrest, trial and crucifixion of Jesus. Traditionally, the evening service for Good Friday was given over to reading the account of the Passion according to John. In time, these Easter readings from John’s gospel became subject to ever more elaborate musical setting. By the time of Bach’s appointment at Leipzig in 1723, part of his duties involved providing a musical setting of the St. John Passion for the Good Friday service. Unlike Telemann and Handel, Bach could not simply avail himself totally of the 1710 libretto by Barthold Heinrich Brockes. This was because Brockes had partly précised John’s text, whereas Bach was under instructions to reproduce unaltered in his church music all scriptural passages from which he drew. It is John’s gospel that states Jews called for Jesus’ death. So the way Bach depicts Jews in his St. John Passion proves nothing more than that he was adhering to the terms of his employment contract. Their accommodating attitude towards Jews was shared by many of Leipzig’s better educated Lutherans, as is illustrated by a document discovered only in 1994. This is a report, dated 14 May 1714, written and signed by theologians at the University of Leipzig. The report’s existence had long been known of, but not its contents. The report had been commissioned by Augustus, Elector of Saxony and King of Poland, who had wanted to know, as its title indicates, Whether the Jews Use Christian Blood, in their ceremonies. Many suspect the Leipzig theologians were consulted because Augustus knew in advance they would exonerate the Jews. He needed theological ammunition against his less enlightened subjects who were calling for the banishment of Jews – on whose loans and tax receipts he was reliant. In no uncertain terms, the report denied there was any evidence that Jews used Christian blood and plenty of reason to suggest they would have considered its use anathema. 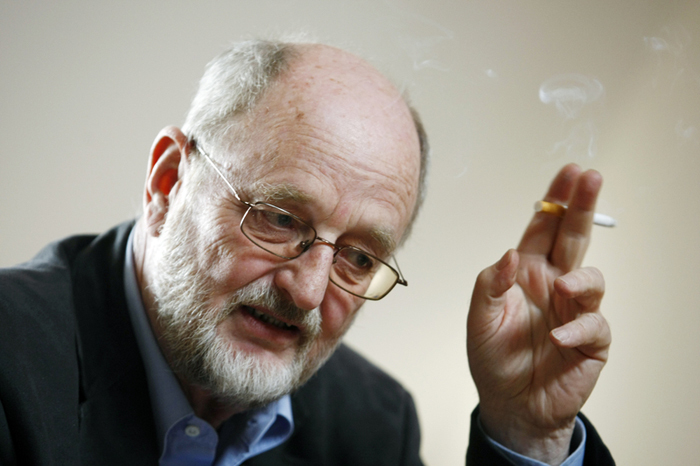 Among the report’s signatories were two highly progressive Leipzig theologians. One, its principal author, had studied at Oxford during the 1690s, becoming a keen follower of John Locke and translating the English philosopher’s 1693 tract on education. The other, who outlived Bach in Leipzig by two years, venerated that first theologian and also possessed a portrait of the Rabbi of Amsterdam. It is inconceivable they would not have known and fully agreed with Locke’s 1689 Letter Concerning Toleration, which championed tolerance towards Jews, even supporting their being accorded full citizenship rights, along with Muslims. Bach seems to have been no less devoid of antisemitism. Although unable to alter John’s account of the Passion, he had discretion over what additional material to include in its musical setting. While he drew on Brockes’s libretto, Bach refrained from borrowing any of its non-gospel passages that some consider hostile to Jews. Instead, the passages he added firmly locate the blame for Jesus’s death in the sinful behavior of all errant humankind. Jews go entirely unmentioned in his St. Matthew Passion [BWV 244], composed two years later; that gospel’s account having not mentioned them by name. Bach also identified with the Levite musicians of the Temple, whose job was to summon the Divine Presence through music. In his copy of the Bible, he wrote appreciative comments next to verses from the Book of Chronicles alluding to this. And, upon turning fifty, the normally taciturn composer compiled a family tree showing how far back in his male lineage professional musicianship ran. Some have seen in this act a symbolic fulfillment of the biblical injunction for the Hebrews to engage in family reunion in the fiftieth “Jubilee” year. At the time of Bach’s death in 1750 some fifteen years later, however, it might have seemed that the musical offerings of this Lutheran “Levite” had fallen on deaf ears. Few of his compositions had been published; manuscript copies were scarce and expensive; his polyphonic style unfashionable; and his choral works unperformed. For the next eighty years, Bach’s musical flame was largely kept alight by a small coterie of Berlin Jews, members of the Itzig and Mendelssohn families. In 1804, union between them was forged through the marriage of Abraham Mendelssohn, son of the philosopher Moses, to Lea Salomon, daughter of the Berlin banker Jacob Salomon and Bella Itzig. Bella was one of sixteen children of Daniel Itzig, court banker to Frederick the Great of Prussia and a close friend of Moses Mendelssohn. Among Bella’s ten sisters was a younger sister Sara, who married another prominent Berlin Jewish banker, Samuel Solomon Levy. During their childhoods, Bella and her elder sister Hanna received musical instruction from Johann Philipp Kirnberger, one of Bach’s foremost students. Sara was taught by Bach’s eldest son, Wilhelm Friedemann, and became an accomplished performer of Bach’s keyboard works – and an avid collector of his manuscript scores. After ceasing to perform publicly in 1816, Sara Levy donated her large collection of musical scores to the Berlin Sing-Akademie, a choral, later musical, society established in 1791 by Carl Fasch, assistant to Bach’s second son. After Fasch’s death in 1800, directorship of the Sing-Akademie passed to his pupil, Carl Friedrich Zelter, who later taught composition to the children of Abraham and Lea Mendelssohn, Fanny and Felix. Abraham and Lea may have met at the informal Sunday gatherings of the Sing-Akadamie, both having joined in their teens. Like her aunt, Lea Mendelssohn was a keen lover of Bach’s music, as was her husband Abraham. After the death of its last custodian in 1805, Bach’s estate was auctioned. From it, the couple purchased the bulk of Bach’s manuscript scores that they donated to the Sing-Akadamie. The music it thereby acquired included more than one hundred unique autograph scores of Bach’s works among which is likely to have been a manuscript copy of the St. Matthew Passion. 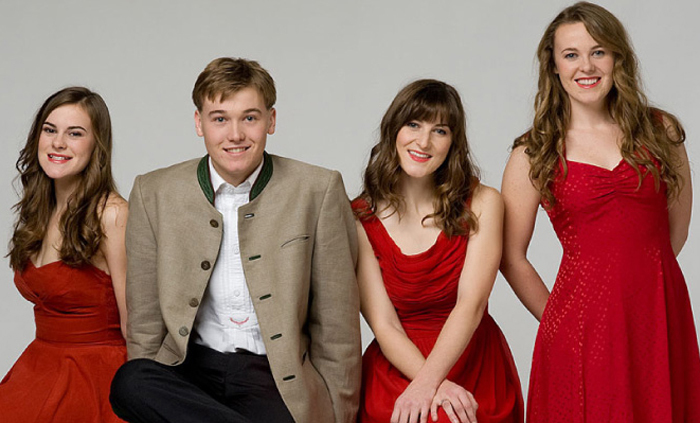 For shortly after the donation, Zelter began to perform excerpts at the Sing-Akademie. Felix Mendelssohn joined the Sing-Akademie in 1819 aged ten, quickly developing such a keen interest in the St. Matthew Passion that his grandmother arranged for a professional copy to be made for a birthday present. Six years later, in April 1829, Felix Mendelssohn put on and conducted the first public performance of Bach’s St. Matthew Passion since the death of its composer. So well received was it that a second performance was hastily arranged. Practically all of Prussia’s most eminent public figures attended one or other performance. Together they cemented Bach’s reputation in Germany. The Nazis made no distinction between race and religion. In their endeavor to erase from Germany all trace of the contribution of Jews to its musical heritage, they removed in 1936 the memorial statue of Felix Mendelssohn from outside of the Leipzig concert hall. On that basis alone, Jews today should not emulate their practice by ignoring or doctoring the music of Germany’s non-Jewish composers, especially Bach’s. Given how prominent a role Jews have played in preserving and promoting it, they should instead have no compunction in celebrating and enjoying it – with passion.